There are some smooth talkers that it seems could sell people anything. There are also some who can give a speech so moving that people run to join their cause. 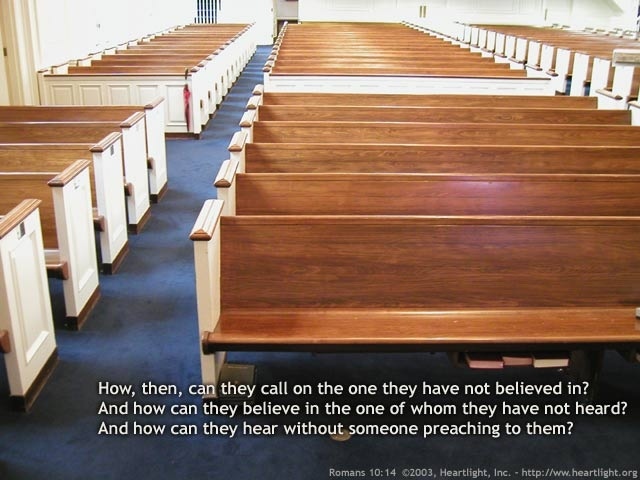 But when preaching, is that what God is looking for? Is He looking for the most gifted speakers or the most persuasive salesmen? Let’s see what the Apostle Paul said about his own preaching strategy. Paul first says he did not come as a gifted speaker or philosopher. Paul was not an uneducated man, either. He was a scholar in his own right, and could have overwhelmed his audiences with the depth of his knowledge. But rather than give into the temptation to do so, he purposely avoided it. His message was simply about Jesus Christ and his crucifixion for our sins. He would rather be seen as weak and foolish than as a gifted orator. Why? The focus had to be kept on Christ. How many sermon series being preached around the American church today are on things other than Jesus? Oh, He may get a cursory mention but Jesus is not the central focus of the teaching. The message is on how we can be happy, or prosperous, or successful. The message is a WIIFM statement (what’s in it for me) rather than centering our thoughts and actions on Jesus and what HE wants. But what about the demonstration of the Spirit and power of God? While the signs and wonders of the Apostles were necessary for Showing that the message was from God, that message is now here for us. The power of the Spirit is demonstrated by the ability of the Bible to convict sinners and draw them to Jesus. When we preach with the mission of drawing people to the person of Jesus Christ, and we use the Word of God to do so, the message has inherent power. That power will so draw people to Jesus that they will not be dissuaded by a worldly philosophy. A man with an experience is never at the mercy of a man with an argument. And their faith will be based on the Word of God, and not the preacher. What is needed is a generation of preachers who are so in love with Jesus Christ that they can’t stop talking about him. Preachers who will draw their messages from the pure spring of living water found in the Bible, unadulterated by human philosophy and the wisdom of men. They will be men of power that can be mightily used of God to win their generation for Christ. The world can keep its smooth talkers and silver tongued orators. We want men to know nothing and long for nothing more, than the person of Jesus.